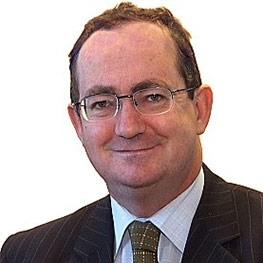 Gerry Carty is a Chartered Engineer, a Chartered Water and Environmental Manager, a Fellow of Engineers Ireland and a registered Fellow of the Association of Consulting Engineers of Ireland (FConsEI). Gerry is Managing Director of RPS Group Limited and RPS Consulting Engineers Limited and chairs the management boards of both organisations. Gerry has over 34 years experience working as an engineer, environmental consultant, regulator and Director in the private and public sectors. He has extensive experience in the establishment, re-invigoration and management of organisations delivering and managing infrastructure. This has included leading strategic reviews, strategy development and implementation of change programmes across a range of companies. Gerry has chaired a number of national committees and has acted as an advisor and programme reviewer to third level institutions, EU governments and public authorities. He has also led the delivery of PPP capital projects for highways, water, healthcare, schools, flood relief and other public infrastructure.